100% containment today. Following containment, some demobilization will begin this weekend. Fire managers will remain at scene closely monitoring this fire. Smoke impact from the Butte is minimal. The Butte fire was started on August 7th. 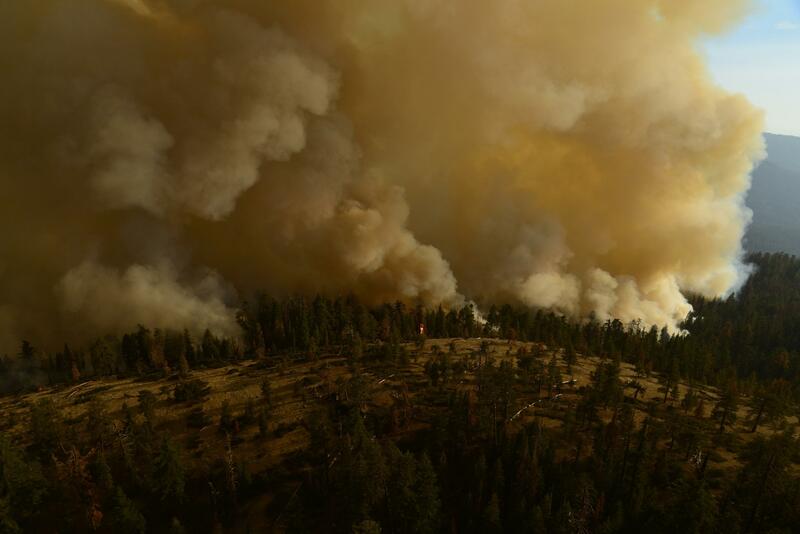 It has burned 635 acres. Their is currently 125 personnel assigned to this fire caused by lightning. Suppression resources are at scene and engaged. A Temporary Flight Restriction (TFR) is in place over the fire. Trail closures have been lifted. Visitors are advised to avoid the fire area. 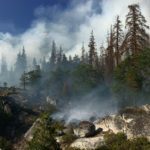 Smoke is expected to be heavy in the fire area and adjacent communities and is likely to be very dense in Wawona in the evenings and mornings. Community members who are sensitive to smoke should consult their physician and may want remain indoors or leave the area in periods of heavy smoke. There is a voluntary evacuation in place for the Wawona community.